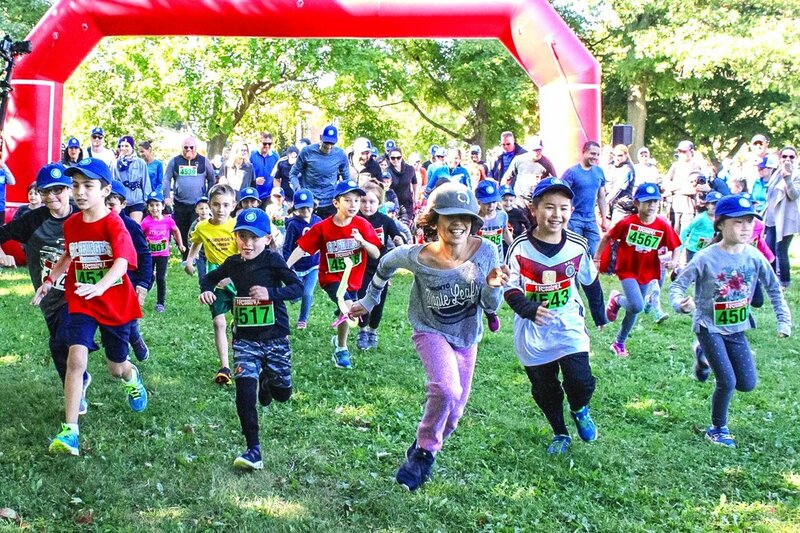 Join us Sunday, September 22, 2019 for the 2nd Annual Toni-yo-yo Run For Fun in support of Silver Creek Pre-School For Early Learning & Development. Thank you for YOUR interest. I'm glad you found us & welcome to the site! This race is very near and dear to my heart. After welcoming my son in 2016, we were thrust into a world of special needs unprepared. Being third-time parents meant little to help ease the shock of everything new, unknown and scary. We had to put our faith and trust in others to ensure our son would survive his first year of life. And when we finally emerged from a dark place, we saw that the struggle was real for others too. Hence was born the Toni-yo-yo Run for Fun, an event in honour of my son, to support others in need. To date, he's not yet walking (or talking or eating or crawling) ... BUT ... he’s making progress at his own pace and that’s what is most important. Our hope is that he will one day walk his own run. Every day we work on helping him get one step closer to this goal. I cannot wait for the day when - not if - he makes this dream come true. It will be something special. Just like him. On top of raising over $35,000, last year's event was incredible for so many reasons. We had good weather, a great turnout, and unbelievable support to meet our goal of sending a family in need's child to Silver Creek. Check out photos and video highlights. This year we are aiming to set the bar even higher. Our goal is to raise $10,000 - money that will be used to support a family-in-need's child to attend Silver Creek AND enhance the Centre’s amazing outdoor and camp programs. Some of the "fun" planned for 2019 includes Top 3 prizes in each of the kids races, a special Superhero appearance, a photobooth, many giveaways and much more! And of course we have race kits again this year full of goodies for all participants. I cannot wait to share more details as we get closer to race day. Please follow us for updates on Instagram, Facebook or Twitter - we truly appreciate the social love and support. Read more on our Year One or better yet, register to participate today! Thank you for participating in the 2018 Toni-yo-yo Run For Fun in support of Silver Creek Pre-School For Early Learning & Development. Your smiles, support, energy and enthusiasm helped make our 2018 inaugural event a huge success. Learn more about our story and why we're supporting and inspiring families whose children have special needs. Join us for a 1K, 2K or 3K walk/run & share our enthusiasm to get outside and engage with friends and community. Make a direct donation to support Silver Creek Pre-School. Despite the lack of snow back in December and some extreme cold fronts as of late, this winter has truly been wonderful for our family. Here’s why: We managed to get outdoors all five of us doing the normal winter activities families do together. Two years ago this month - on Feb 13, 2017 to be exact - Antonio went in to Sickkids for a G-tube surgery. It was a game-changer for his nutrition needs and how he’s exclusively fed ever since. I know, I know … you’re not the only one who’s been asking what took us so long!